I got really inspired to a colorful look today and decided to play around with my Sugarpill shadows. 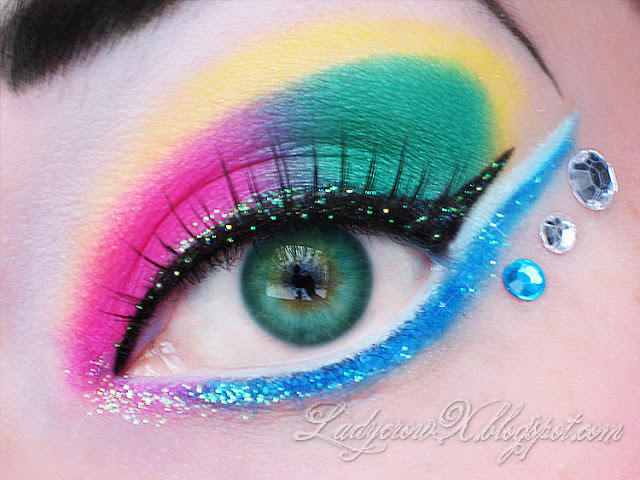 This look was inspired by by the beautiful colors of the springtime easter eggs, some of my favorite to color were the bright glitter ones. My camera was really acting up on me today and I was losing the daylight so apologies for it being a tad blurry (then my camera died as well so couldn't take more). So cool! I love the glitter! I love this! Definitely reminds me of an Easter Egg!